To celebrate her 30th birthday, socialite, philanthropist, and entrepreneur Sterling McDavid recalled the glory days of disco at a Studio 54-themed private bash at Hunt & Fish Club, the New York hot spot which she happens to co-own. Needless to say, it was attended by some of the city's most well-heeled guys and gals about town. The night kicked off with cocktail hour, during which guests sipped Out East rosé and toasted to the birthday girl, followed by a chic seated dinner. Of course, the evening culminated in a raucous dance party featuring a surprise performance and DJ sets by Sterling's close friends, DJ Nicole Rosé and Timo Weiland. And when it came time for cake? 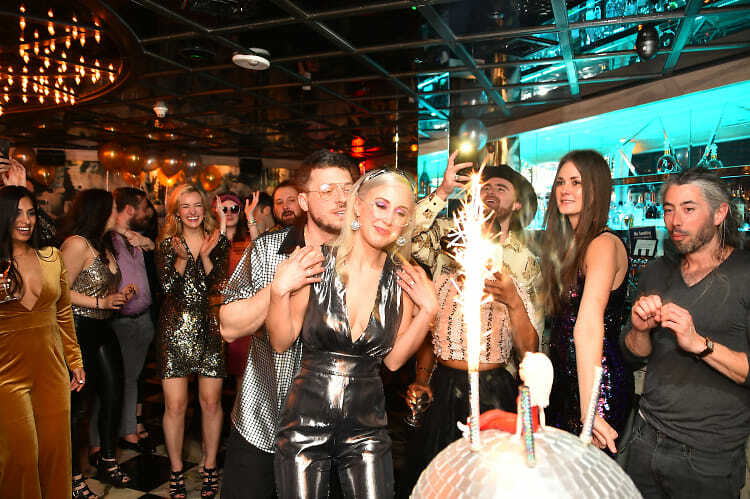 A disco ball creation lit up with sparklers, as an edible model of Sterling herself sat on top. Click through for an inside look at the glamorous birthday soiree and go HERE for more photos from the event by Sunny Norton!